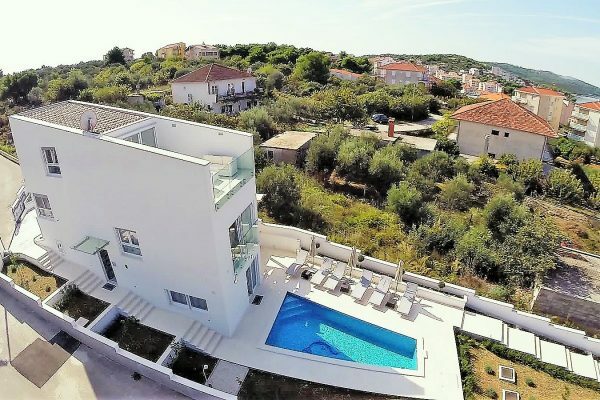 See below the search results for Ciovo real estate for sale – Ciovo is an island connected to the mainland by a bridge from the town of Trogir, an UNESCO-protected medieval town. 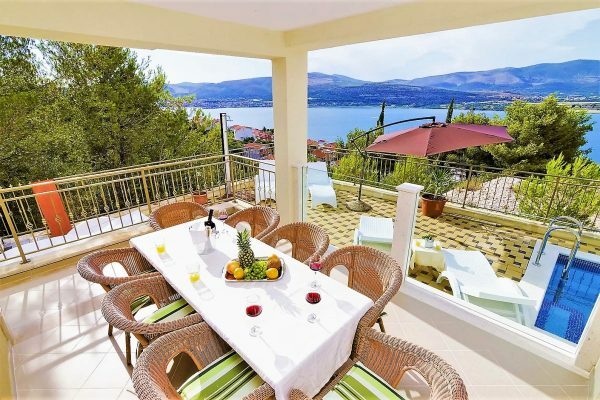 The island is very popular with foreign real estate investors because of its close proximity to Split International Airport. For clients living in Europe, Ciovo is accessible for short weekend breaks. Split is also very close by and there is a new road being built from Trogir to Split which is close to completion and will further improve its accessibility. Moreover, there is a new bridge under construction from Trogir to Ciovo, which will improve the time it takes to get on and off the island during peak season. Being an island, Ciovo has a plethora of beaches, hidden coves and lots of activities and things to do and see. There is good variety of Ciovo property for sale, although in recent years apartments have been the biggest seller. Apart from apartments, you can find houses for renovation, some newly built villas with swimming pools and a few luxury villas next to the sea. If you are looking to buy and old stone house, Trogir is the place to look although the supply and availability is very limited. Ciovo Island is approximately 15 minutes by car to the airport and 30 minutes to Split. It is also possible to get taxi boats from parts of Ciovo to Trogir and Split and a boat connection from Slatine on the east of the island that goes directly to Split. Be it general information that you are looking for or details about some specific Ciovo real estate for sale, Ciovo property prices, market trends, the best places to buy property on the island – we are here to help you find your perfect Ciovo property.